A graduate of Marist High School on the Southwest side of Chicago, Matthew R. Hess earned his B.A. from the University of Illinois at Urbana-Champaign in 2000, double-majoring in Political Science and Finance. He went on to obtain his law degree from Chicago-Kent College of Law in 2003. Mr. Hess began his career prosecuting medical malpractice cases on behalf of injured patients and their families throughout Illinois at both the trial court and appellate court levels in the state and federal courts. He then went on to work on behalf of physicians, hospitals and insurance companies, defending medical providers in those same types of cases. Mr. Hess has served as lead trial counsel in defamation litigation and has handled countless medical malpractice cases that resulted in favorable jury verdicts at trial. After spending thirteen years litigating heartbreaking cases in the court system, Mr. Hess decided that he had a higher calling. Seeing the ways in which families were impacted by acts of medical and nursing home negligence – emotionally and financially – impacted him greatly. Mr. Hess determined that the best use of his time and legal skills would be to work on behalf of individuals, families and small businesses, to help them prepare for the unknown and to provide compassionate assistance in times of trouble. 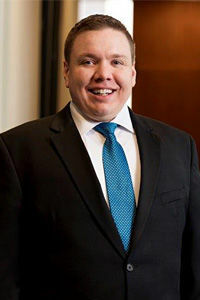 A resident of Wheeling, Illinois, he is licensed to practice in the State of Illinois and the United States District Court for the Northern District of Illinois, and is an active member of the Illinois State Bar Association, the Chicago Bar Association and the American Bar Association. He is also the author and administrator of ContestedEstates.com, a law blog dedicated to will contests and other disputes among heirs and beneficiaries. Whether you are in need of Estate Planning, Probate and Trust Litigation or Business Services, Hess Law Firm is here for you. Mr. Hess can also provide assistance if you ever believe that you or a family member may have been the victim of nursing home negligence or medical malpractice. Contact Hess Law Firm today at info@hesslawfirm.com to learn the ways in which Mr. Hess can help you.